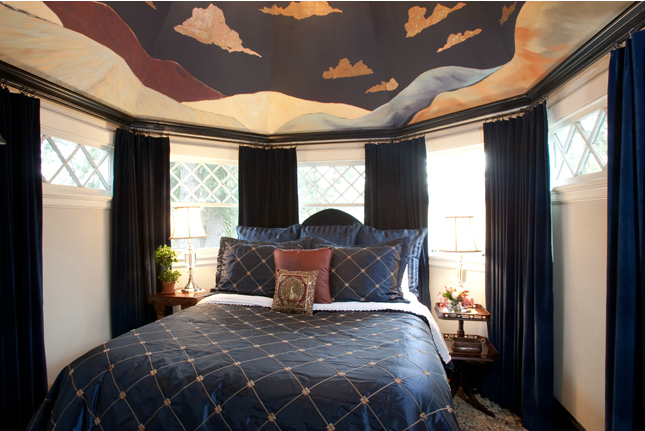 This unique room has the distinction of being where Sandra Bullock stayed while filming the movie 28 Days. Our home was used as a set for this film as well! This is the turret in the house and has an antique clawfoot tub with shower conversion. 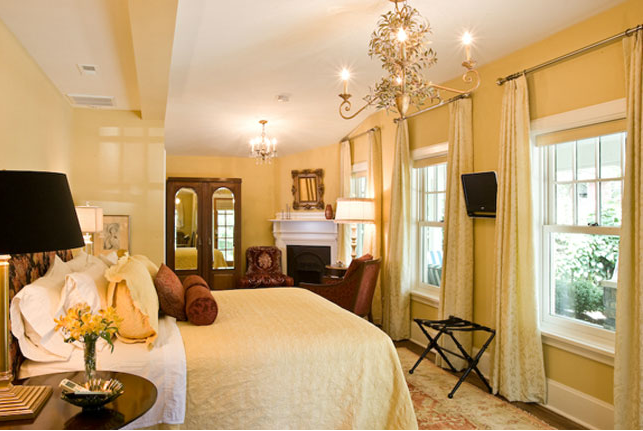 This lavish second-floor room is dressed in shades of ivory and gold. 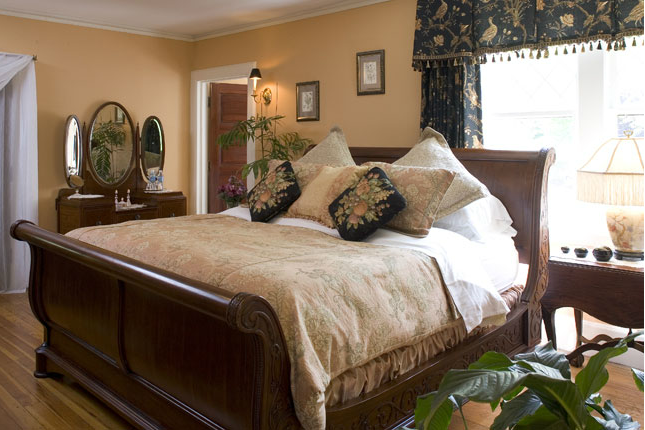 A plush king sized bed and a pair of French armchairs anchor the room. In the summer, open the north facing the window to enjoy a tranquil view of our gardens and waterfall. This room, located on the first floor, is dominated by the travertine marble, 2 person, 110 gallon Jacuzzi tub. 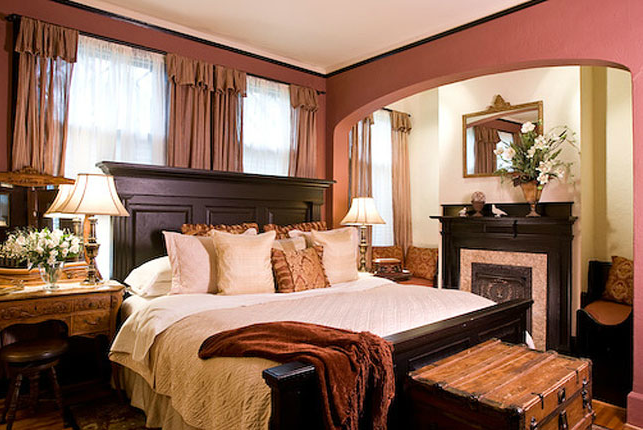 It has a King-size feather bed and working fireplace. The private commode area en-suite and individual air conditioner offer perfect comfort and ultimate romance. 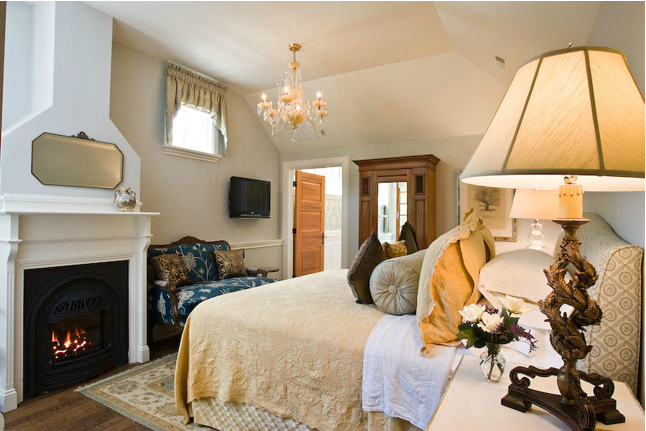 Situated toward the pond and parking, this suite is ADA compliant. 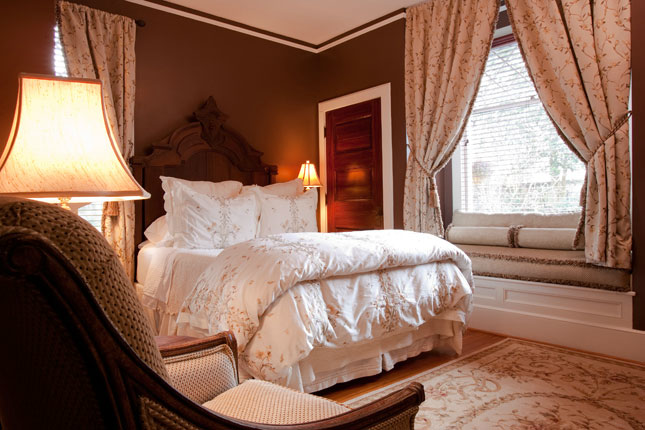 Dressed in warm shades of buttery yellow and burnished browns and reds with an eclectic mix of antiques and fine furnishings, The Magnolia is a delightful room with its brass chandeliers and stunning bath with large shower. This well-appointed and comfortably furnished first-floor room is complete with a charming window seat, Queen-sized bed, and an elegant marble bath with Jacuzzi tub and shower conversion. 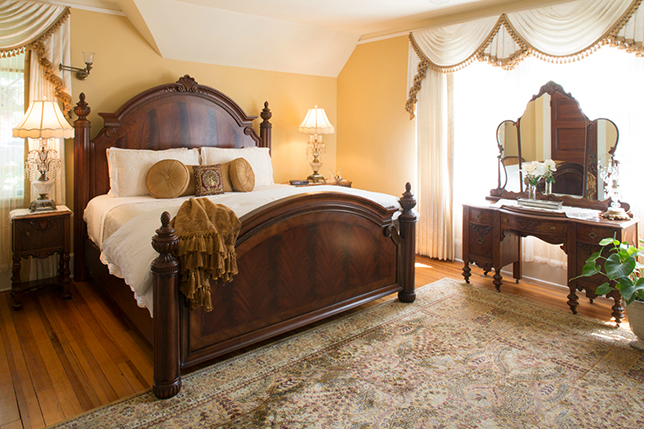 This is the largest of our guest rooms and is anchored by the magnificent King-size sleigh bed with Kingsdown mattress. An ample seating area offers a Queen-sized sleeper sofa in addition to arm chairs and ottomans.